Content is powerful, particularly with respect to the sales cycle. Unleashing the power of content to engage your prospects was the subject of a fascinating presentation at the MarketingProfs B2B Forum 2010 that took place in Boston. It, too, was powerful! ..The theory behind content marketing presented by Stephanie Tilton and Michele Linn. ..Two case studies: from Pam O'Neal, Breaking Point Systems, and Amy Black, Kadient, which reinforced the points that Michele and Stephanie made. Content marketing makes intuitive sense to me. What better way is there to answer customer questions than through content? [See Digital Visibility: The Reason Behind Content Marketing for more information.] Buyers want information; they seek out relevant content to help them make sense of the options available. As Linn and Tilton explained, business people need to deliver high quality relevant content that answers buyer questions based on where they are in the sales cycle. Pay close attention to what customers are saying. Use Google alerts, search Twitter/tweetbeep, don't forget Google blog search and consider following the top 10 sources [i.e., blogs] in your industry. Next, you want to understand your audience. That's where developing buyer personas can be valuable to help bring customers to life. Your goal in developing buyer personas is to know as much about them as possible. Once you have a sense for who your customers are based on developing buyer personas, spend time understanding your customers' buying cycle and then map your content to that buying process. Remember, customers and prospects may have very different needs. Next, get organized and think like a publisher. Fully understand content preferences. Do your readers/visitors prefer video content? Do they prefer another source? Understand how that affects your business and your content. Develop an editorial calendar that maps out to potential customers' buying cycle. Don't forget to include a call to action. Be aware of what is relevant to your buyer, understand at which stage of the buying cycle s/he is and create the best possible content to answer questions, address objections and generally help your customer feel comfortable with the purchase and the process. Repurpose your remarkable content as much as possible - from a white paper to a series of blog posts, to a video to a podcast. Think about the different ways to communicate your message and the different ways to understand something. Don't just regurgitate; make sure you add value to the content in its new form. Be sure to choose the best possible platform for the content based on your customer's needs and preferences. Don't ask for any more information than necessary to facilitate the sharing of content. Test different approaches. Be sure to measure the impact of your content marketing. Pam O'Neal from Breaking Point Systems, a cyber-security firm, shared a case study titled " How BreakingPoint Leveraged Technical Content to Increase New Customer Acquisition by 240%". Pam's first point: be interesting; be what people are interested in. That will help you be found. To be interesting: ask customers, understand buyers, monitor and engage influencers, analyze trends, test content and copy, measure results. Easy, right? Marketers need to become peers to their audience. Too often, data sheets lie. Develop personas to better understand buyers. Attack marketers! Become the company that doesn't overstate anything! One level of interaction at Breaking Point led to another. The Breaking Point Blog called out to customers in an edgy way. Based on how engaging certain topics were with readers, Breaking Point would develop more content. From there, SEO objectives were managed and optimized to meet different business objectives. Breaking Point develop a 'content engine': starting with MarketWire, then Pitchengine 3 weeks later, don't forget to use Twitter, RSS, email, include top content in newsletters, upload diagrams to Flickr and presentations to SlideShare [e.g., presentation guides, sales #s], and update status on LinkedIn. Integrate content with drip marketing approach so you can drive people to specfic content. Breaking Point is doing 100 events because of new business and is starting to see better quality leads coming in from content created for the web. Amy Black formerly with Kadient addressed "Building a Content Library that Maps to the Sales Cycle" in her case study. Her objective had to do with building a content library that maps to the Kadient sales cycle and represented a major shift in offering as well as to whom and how. She had in mind creating a sales playbook and the best way to do that was by developing a content library. She urged the audience to think about the key objective for content and how else to make value out of it. She had in mind a How To guide, in a fresh format that was somewhat provocative in that it promoted new ways of thinking [e.g., Confessions of a Sales VP]. Next, she created a video series based on "There's a playbook for that." Benefits led to lead generation, sales and also reputation building. Important, too, to nurture and harness customer voices thereby highlighting 3rd party validation. The content library converts leads to opportunity; it connects prospects with internal expertise and then creates a better opportunity to close a sale by demonstrating how Kadient is different and addressing customer questions and objectives in a credible manner. Break through the clutter – stand out! For notes about the first part of the presentation, do visit the notes that Stephanie and Michele put together with copious additional resources re: Unleash the Power of Content Marketing from the MarketingProfs 2010 B2B Forum. I've also embedded the slide presentation so you can dive into more detail. View more presentations from michelelinn. 1. How well do you know your ideal reader and his/her concerns? 2. Does your content answer the question "what's in it for me?" from the perspective of your target audience? 3. Have you created content for each role and stage in the buying cycle? 4. Have you developed an editorial calendar to make sure you consistently publish content? 5. Do your titles and design draw the reader in? 6. Does your content have a call to action? 7. Can prospects easily find, access and share your content? 8. Do you need to require registration? If so, which information do you really need to collect? 9. Does your content engage while educating? 10. Are you extracting the most value possible from your content? 11. Can you measure the effectiveness of your conent? I wish you the best as you unleash the power of your content marketing! And when you do, I hope you'll share your learnings with us here. MarketingProfs B2B Forum - Boston originally loaded by Bob_Collins. If you have a chance, I'd love for you to read my latest post on the Floor Covering Institute Blog. 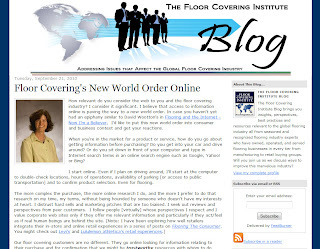 The post is titled "Floor Covering's New World Order Online" and discusses the web phenomenon in consumer and business terms. You won't be too surprised to learn that I consider the web intensely significant. For that matter, not just for the floor covering industry, but for every industry around. 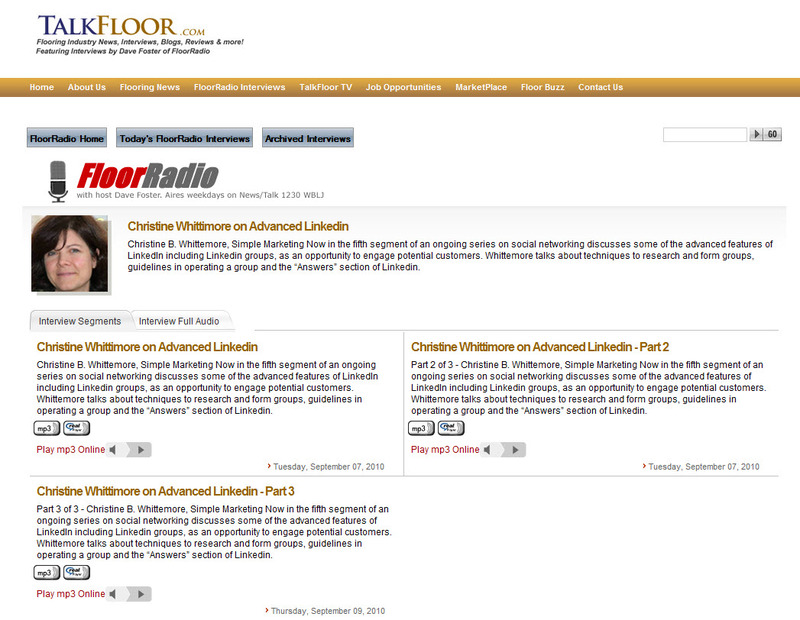 So, although my post has a flooring perspective, you may find it relevant to your non-flooring world, too. Would you let me know one way or another? Kinnelon, NJ – Canada Nufloors Group Inc., an organization that includes leading Canadian floor covering retailers with locations in British Columbia, Alberta, Saskatchewan and Ontario, held its annual meeting in Kelowna, British Columbia on September 11 & 12, 2010. The theme of the meeting was ‘Turning Flooring Customers Into Advocates’ and featured Christine B. Whittemore, chief simplifier of Simple Marketing Now, as keynote speaker. She discussed the customer retail experience in a presentation titled “Retail Hospitality or Customer Service Before, During and After the Sale”. 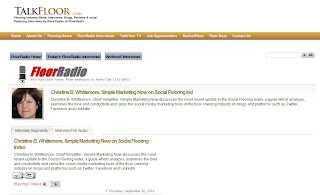 Nufloors store owners and managers reacted enthusiastically to Whittemore’s presentation. Also presenting were Nufloors Coquitlam General Manager, Cynthia Dean, Rock Solid Business Coaching CEO, John Cameron, Spring Advertising account services director, Richard Bergin and Barr Hall. About Canada Nufloors Group Inc.
For more information about Canada Nufloors Group Inc., visit http://www.nufloors.ca/. 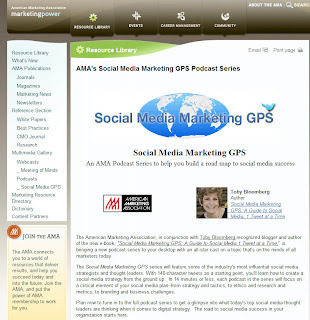 Now available from the AMA Resource Library: Social Media Marketing GPS Podcast Series with Toby Bloomberg! 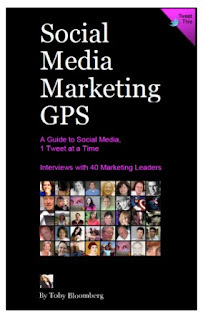 Toby Bloomberg, Diva Marketing extraordinaire and author of Social Media Marketing GPS, the first ever business book written on Twitter [see Social Media Marketing GPS: A Must-Read Guide], contacted me recently with exciting news! Toby explained that Dennis Dunlap, CEO of AMA, loved Social Media Marketing GPS. As a result, AMA would partner with her to produce a series of podcasts to support the book. All 40 prominent marketers from Canada, England, India and the United States who participated in Twitter interviews for the book were invited to take part to further develop the conversations started on Twitter. I can't imagine a more exciting development. As I told Toby, it feels as if the whole process is coming full circle with these podcasts. 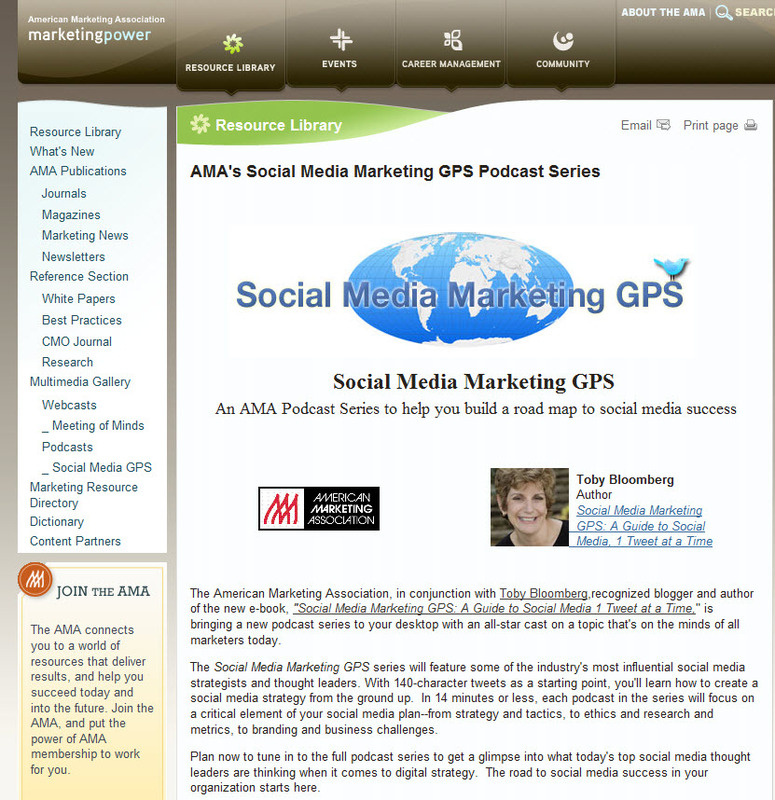 Here is the link to the page listing all of the interviews in the AMA Social Media Marketing GPS Podcast series. If you haven't already, definitely download a copy of Social Media Marketing GPS, by Toby Bloomberg. Last Wednesday, September 8th, 2010, Joel Rubinson and I recorded our podcast with Toby on the subject of listening. Nancy Pekala, AMA Director of Online Content, introduced the session.Ours was the eighth in the series. How does listening fit into traditional research? 14 minutes goes by fast. Especially with a topic such as listening. To be continued, I hope. The three of us had so much passion for the topic and the importance of listening in social media marketing and business, we are considering a longer format forum to continue. Stay tuned for more info. 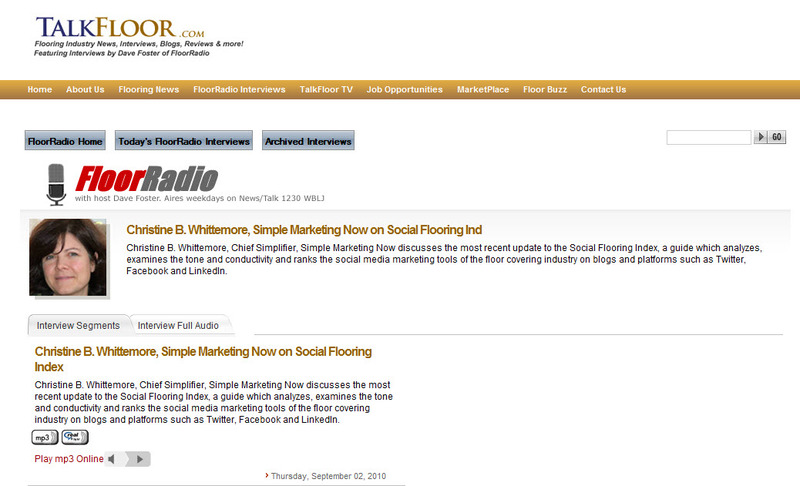 Here is the link to our podcast on Social Media Marketing GPS: Research Insights. 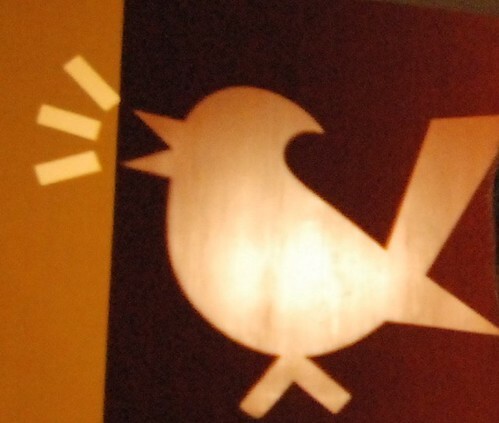 Social Media Research: Crafting an Actionable Listening Strategy. If you're a member of AMA, I expect you'll be hearing about the podcast series in weekly and monthly e-newsletters, through tweets [follow AMA on Twitter], in social media focused events, and with AMA's 76 chapters. If you aren't, you might consider joining. Regardless, do listen to the podcast series. 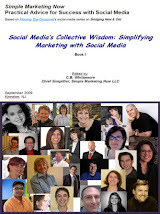 Social Media Marketing GPS - both book and podcast series - are fabulous resources for those looking for a road map to social media success. Would you let me know what stands out for you? Simple Marketing Blog: Junta42 #11 Top Content Marketing Blog! As Joe Pulizzi explains in Brian Solis Rocks Latest Junta42 Top Content Marketing Blogs, his post announcing the latest ranking, the list of blogs included in the ranking has grown from 350+ to over 400. I like how Gavin Heaton puts this listing into perspective in Content Marketing and the Junta42: it's a "handy reference to some of the leading content marketing blogs – a very useful resource for those marketers working with social media as part of their strategy." For reference, the Junta42 Top Content Marketing Blogs are based on these criteria. I encourage you to go explore these content marketing resources!